This is such an easy recipe but it requires a post nonetheless. Turkey is so wonderful. 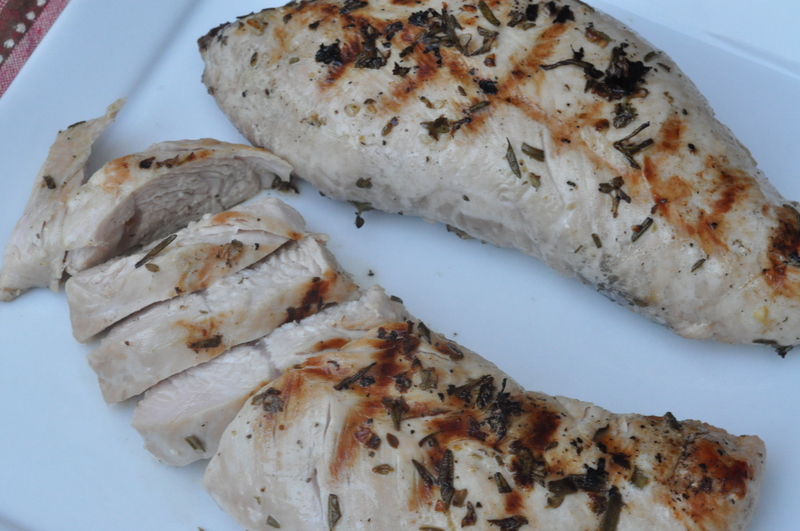 It is a lean source of protein and relatively inexpensive. 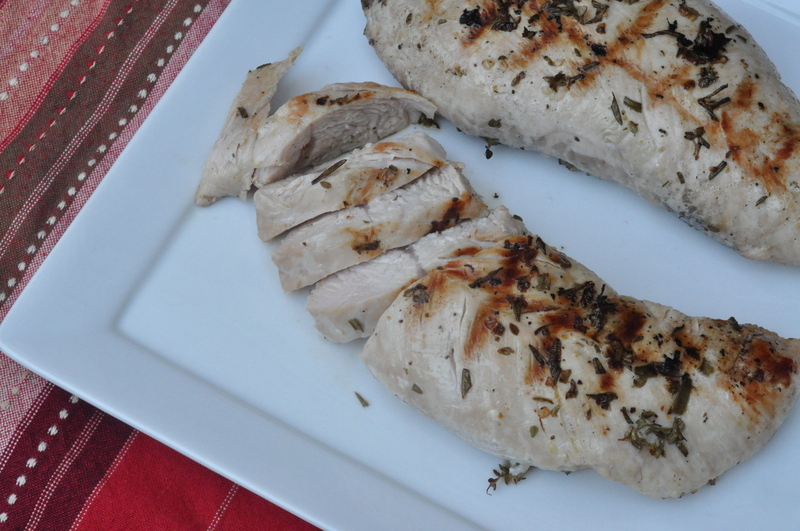 Turkey is great for dinner, even better leftover for lunch the next day as a sandwich. 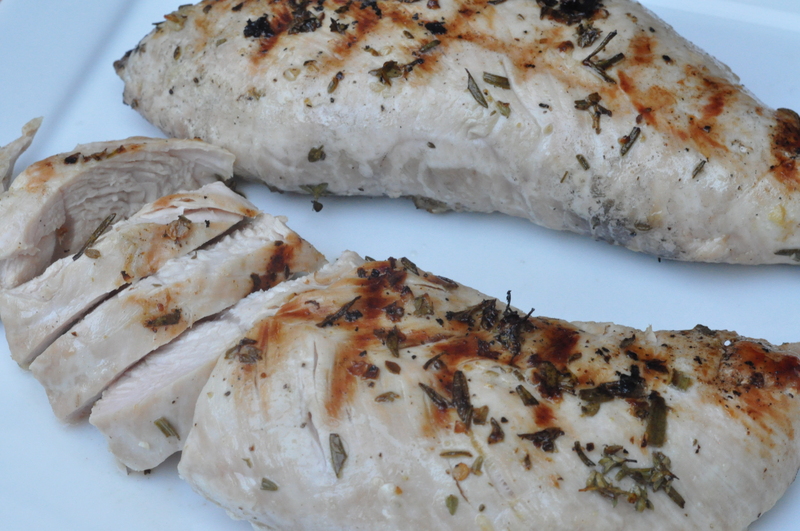 For several years our family made three marinated turkey breasts for Thanksgiving. My mom would bone and skin the turkey breasts in the morning and then marinate them in three different flavors before they were put on the grill. Needless to say this was extremely popular with all the family. We would have 20 plus people and nothing but compliments. I find this to be great as a year round meal, not just for Thanksgiving. It is also ideal for a small crowd for the holiday since a whole turkey yields lots of leftovers. We eat it for dinner with veggies. The next day I run the leftovers through the slicer and voila, lunch meat! I hope you enjoy it as much as we do. Put everything (except the turkey of course!) in a jar and shake well. Pour the marinade over the turkey and allow to sit in the fridge for 1-2 hours, turning a couple times for even marinating. Grill over medium heat until internal temperature is 165 degrees, times will vary depending on size of meat. This entry was posted in Meat Main Dishes and tagged built in leftovers, easy, gluten free, lunch meat, Rosemary, thyme on November 13, 2013 by Gretchen. Thanks! So easy and yet so tasty. My favorite is the leftovers sliced for sandwiches. Thanks! It is indeed a nice and yet easy flavor combination. I landed straight on this post because the turkey looked so appealing to the sight. This would go well with so many things: like some warm pasta salad, or some nice potato mash, or some nice rice salad or some wraps or sandwiches. Gosh the choices are endless. We always make whole roast turkey. It’s quite a lot of meat but well worth the trouble. My best wishes to the boys and wish you a happy baking …hope Ewan has a fabulous birthday and Jack, a happy feast. Best wishes! I just love turkey year round. So many sides and so many sandwiches. The possibilities are indeed endless! Plus once the boys are teenagers and eating us out of house and home this will at least last a couple meals!